“A Perfect Riff on What It Means to Be Human in This Unsettled Age” (Renée Montagne, NPR)—For Readers of Jonathan Tropper and Philip Roth. Steven Boykey Sidley is an award-winning and multi-shortlisted novelist. He was once a software engineer and can often be seen playing saxophone in bands around town. An American citizen, he lived most of his adult life in the Hollywood depicted in this book. His first novel, Entanglement, won the UJ Debut Fiction Award and was shortlisted for the Sunday Times Fiction Prize and MNet Literary Award in South Africa. His second novel, Stepping Out was shortlisted for the UJ Main Fiction Award. 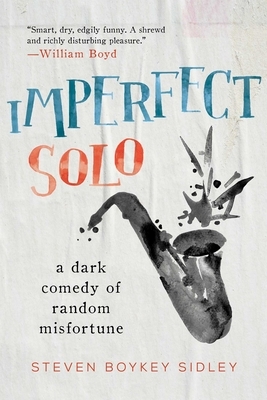 Imperfect Solo is his third novel. So far it has been longlisted for the Sunday Times Fiction Prize in South Africa and selected for Le Grand Livre du Mois, France's most prestigious national literary book club. He currently lives in Johannesburg with his wife, Kate, and their two children.